Ever wondered what the collective noun for trivia buffs is? A tragedy? A triumph? A tally? Perhaps all three are apt for the trivia team cast at the core of Deborah O’Brien’s newest release. Strutting their stuff at a local sports club every Tuesday night, they flex their grey matter to participate in a competition presided over by the Professor and Miss Kitty, the faded stars of a long forgotten TV quiz show. Over the 12 weeks of the competition we come to know each of the Trivia Man’s team members, catching glimpses of their inner lives and snapshots of their earlier selves which reveal their hopes and dreams, their disappointments and difficulties. Kevin’s sister Elizabeth has experienced a lifetime of embarrassment and exasperation over her older brother’s odd behaviour and quirky interests. She admonishes him for his trivia quiz and other obsessions and tries to prevent his idiosyncratic behaviour from influencing that of her eight year old son, Patrick. But more than their shared interest in computers and tides, it is their shared genetic inheritance that worries Elizabeth. The bond between Uncle Kevin and nephew Patrick supports them both in different ways- what will be the consequence of Elizabeth’s demand that it be severed? 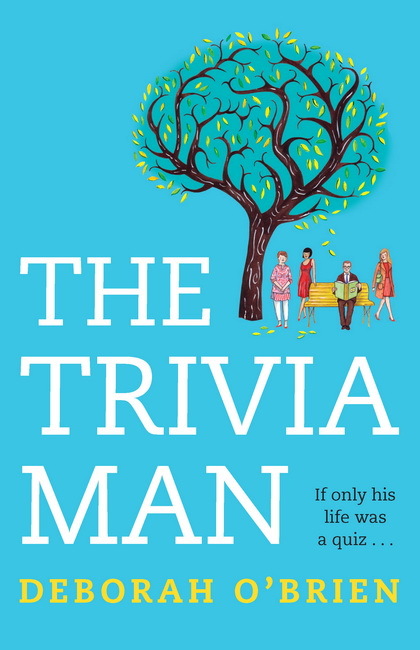 The Trivia Man combines humour, pathos, and fascinating trivia with cleverly drawn characters who intrigue and invite the reader to view the world from their perspective. Through flashback and tantalising vignettes the panorama widens in space and time, compelling us to read on. A bonus is the inclusion of the argy- bargy of the trivia quizzes, including questions (and answers! ). Deborah O’Brien has indeed crafted and polished another gem for readers to cherish along with her Jade Widow, Mr Chen’s Emporium and A Place of Her Own.